Weeds are the thorn in every gardener’s side. They can take over a area in a short time and lead to utter decimation of your plants. Ridding your garden of these pests can be tricky but it can be done. Visit gardeninginfo-online.com for related topics. Weeds can do a lot of damage to your plants. They can attract insects that will eat the leaves and produce of your plants and they can take out all the nutrients from the soil. This can lead to poor plant growth and can lead to you having a horrible harvest. Weeds can also attract different animals such as deer into your garden. They may smell the weeds in your garden and decide that they would love to eat them. Once they start eating the weeds, your garden plants are next. Getting rid of the weeds as soon as possible is imperative. If you go to just about any store you will see many different weed killers advertised. These can be great to get rid of weeds, and some never do come back but there are risks in using these types of weed killers. These types of weed killers are toxic to humans and animals alike. If you have animals and children you could be putting them at risk. Many people also say that weed killers are bad for the environment. Many people choose not to use weed killers of this nature and go a more all natural route. There are several different all natural weed killers out there that can help you get rid of all those pesky weeds. Salt can get rid of many different types of weeds. Simply sprinkle a few tablespoons on the base of the plant. The plant should be dead within a few days. However you will need to be extremely careful not to get it on your existing plants. Soap shavings can kill some forms of weeds. Simply grate a bar of soap, any kind will work and place it around the base of the weeds. You can even sprinkle it in the weed patch. It should kill your weeds. You will want to make sure that none of the soap gets on your plants. Some people take liquid soap and spray on the plants as well. Dish hand soap works well to kill some weeds. Simply mix some in a spray bottle with some water and spray on the plants. They should disappear within a few days. Cooking oil. 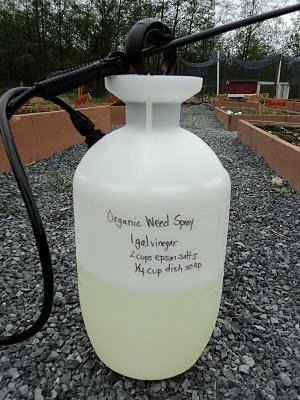 Some people have used a spray bottle filled full of cooking oil to smother weeds. This has been known to work on a broad variety of weeds. Getting rid of the weeds will not only help your garden flourish but will make your garden looks great. Without weeds your plants will get all the nutrients they need, so your harvest will be great. Consider creating some all natural weed killer today to rid yourself of those pesky weeds.